Take your drumming to the next level. 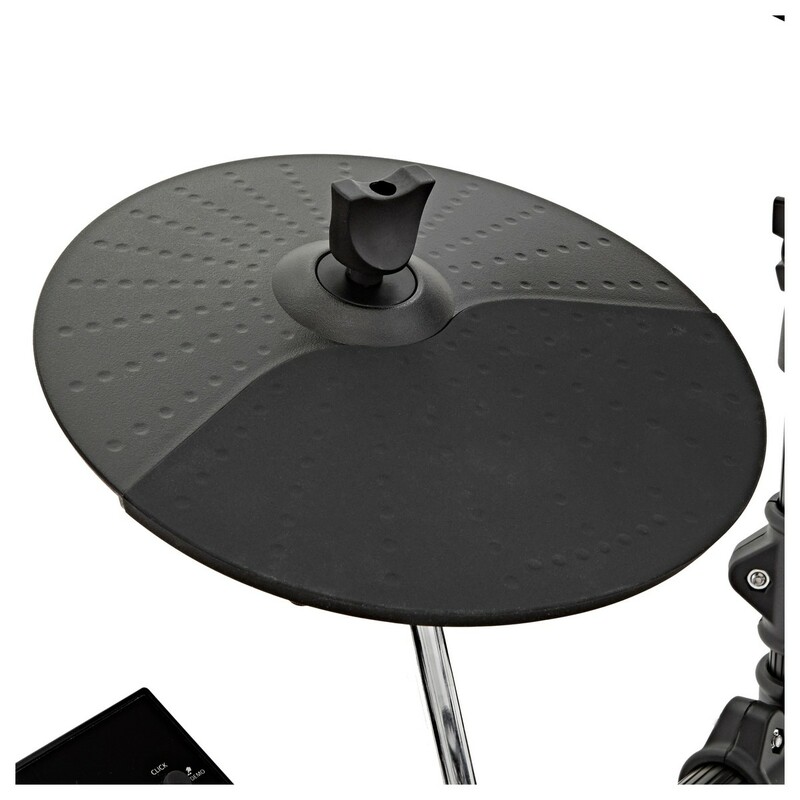 All-mesh pads and chokable cymbals offer a responsive and authentic playing experience. 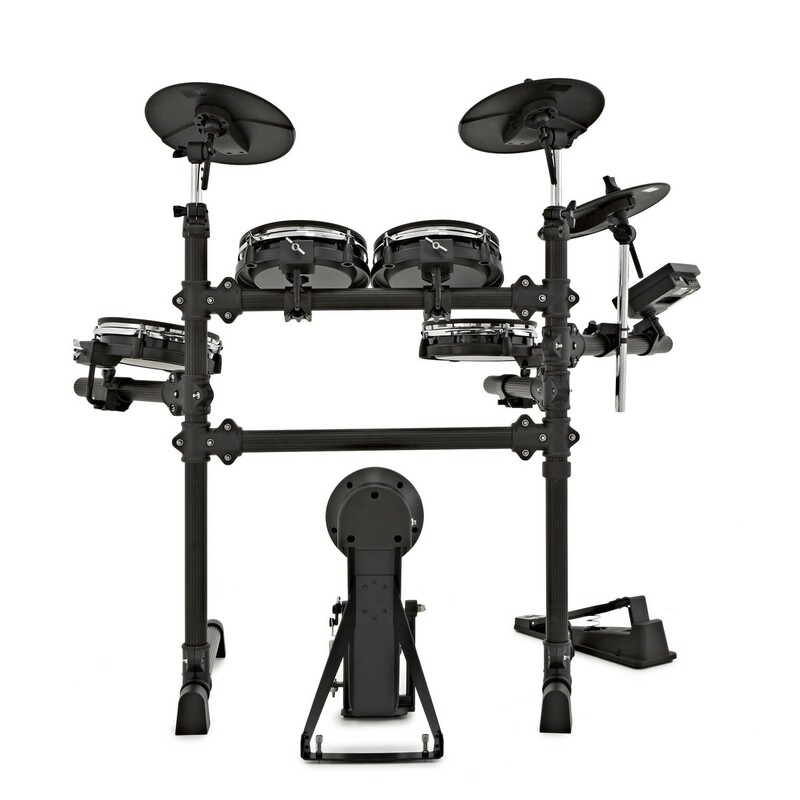 The DD420X electronic drum kit is loaded with 10 pre-programmed kits, 108 individual voices and 40 patterns. There's also a quiet bass trigger and headphone output, so you can practice without disturbing the neighbours. Packed with high quality sounds. 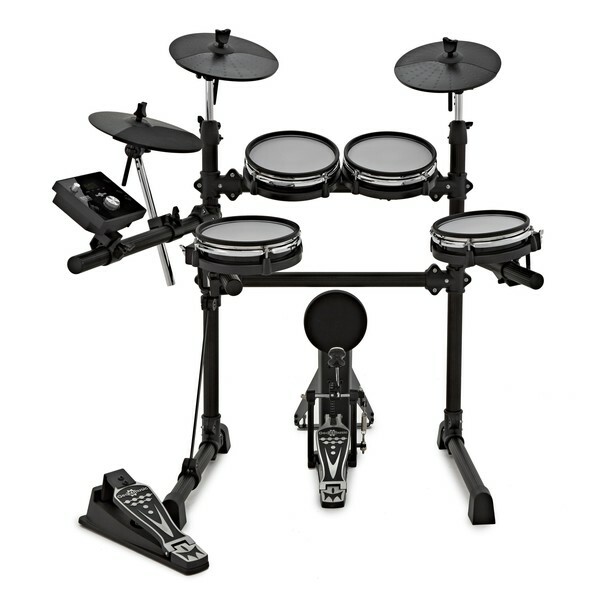 The DD420X drum kit is ideal for both beginners and experienced players. An ultra realistic feel. An affordable kit with upgraded mesh pads. With a bounce that cannot be matched with rubber pads, this design brings you closer to an acoustic kit. Seamlessly practice and perform on a mesh kit, building skills transferable to full acoustic kits. 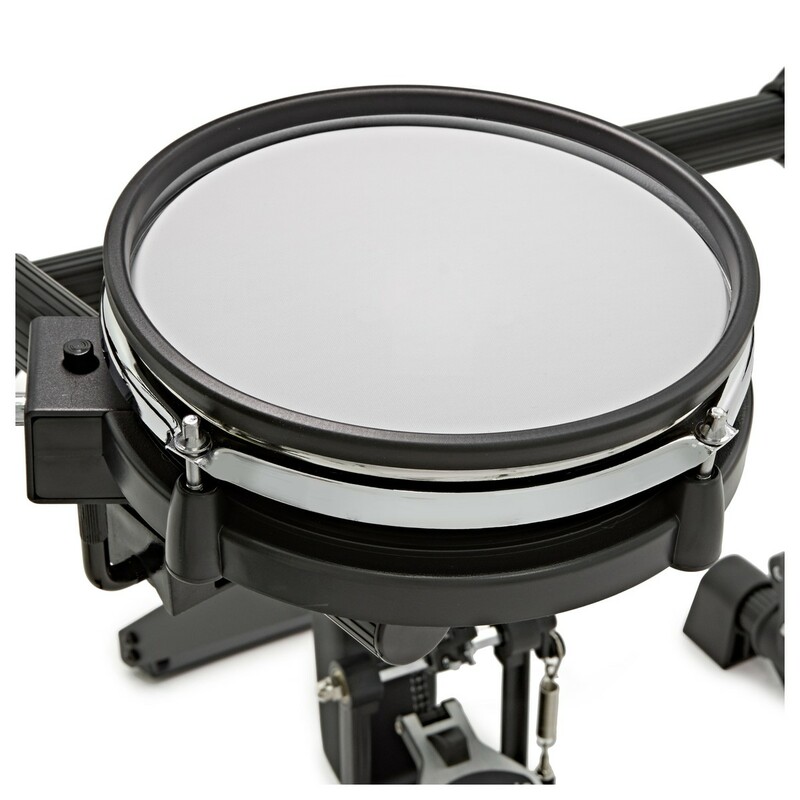 The DD420X offers 3 mesh toms and a mesh snare drum plus a crash, ride and hi-hat cymbals. 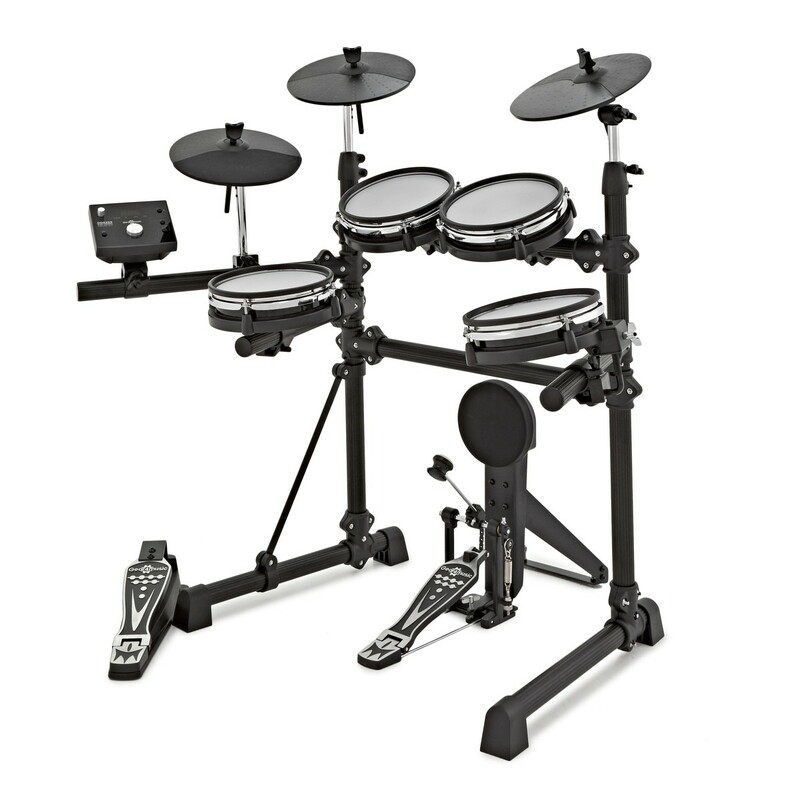 It also includes a hi-hat controller pedal and a full pad kick drum set up so you have everything you need to get going. 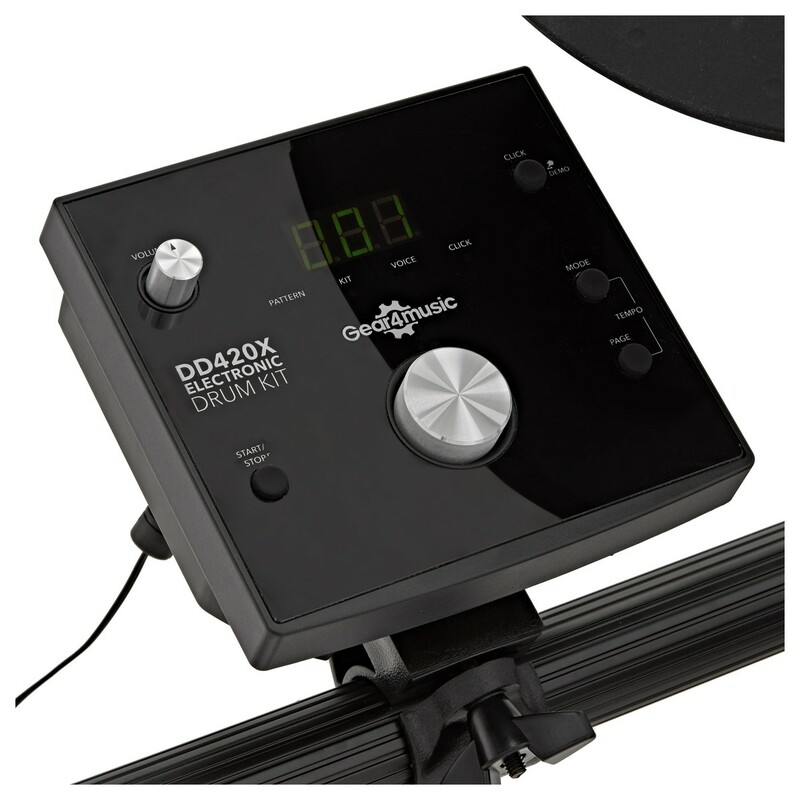 The 420X also features a crash pad with choke feature which means you can dampen the cymbal sound with your hand after playing - a technique often used by drummers with acoustic cymbals. 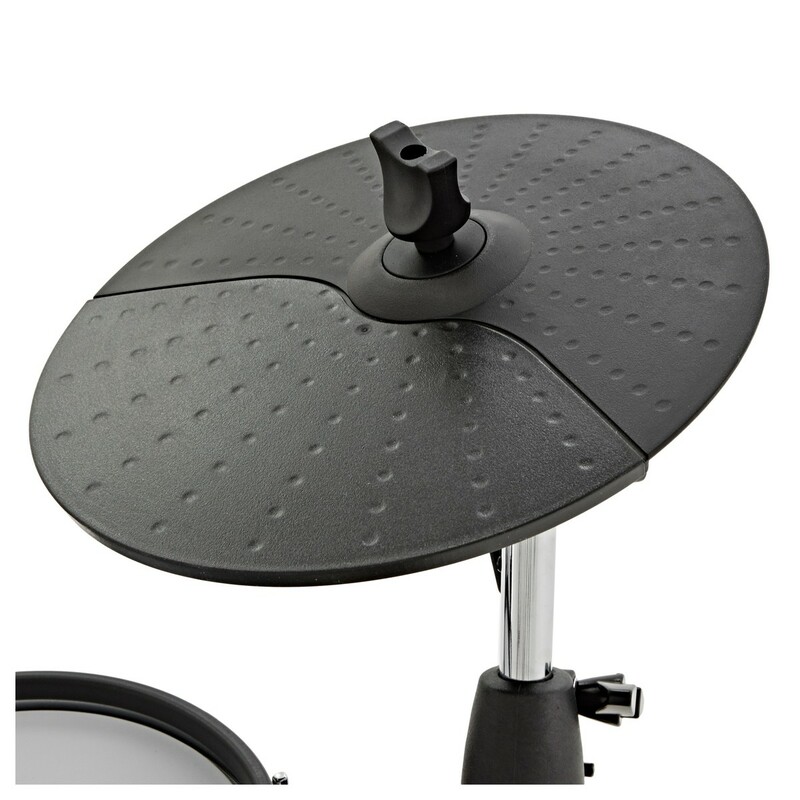 This gives you a much greater range of cymbal sounds that can be used with acoustic cymbals in the future. Established drummers will enjoy being able to use this familiar action on a digital kit. The Gear4music 420X kit has 10 pre-set kits programmed into the module so you can quickly find a sound you like from rock and pop through to jazz and house. Experiment with creating your own kits using the 108 individual drum and percussion sounds or play along with the 40 drum patterns of varying difficulty. 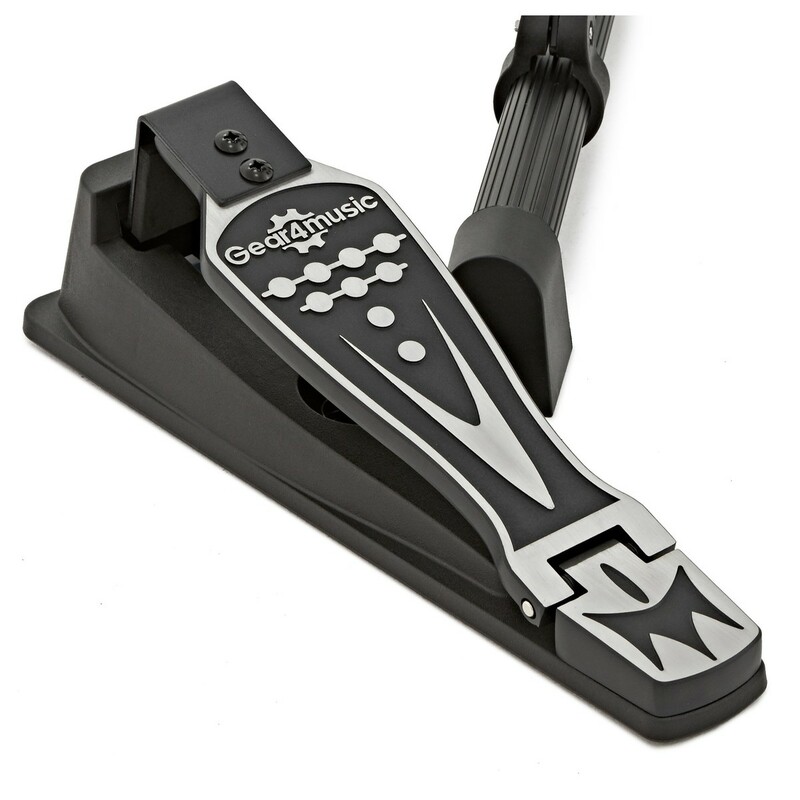 The kick pedal controller is a lot quieter than a traditional drum pedal rebounding off a bass pad but gives a comparable action that allows the player to develop pedal skills. The headphone input means that it's no problem to practice early in the morning or late at night - just plug in and away you go without disturbing the neighbours! The soft mesh pads are quiet and responsive. 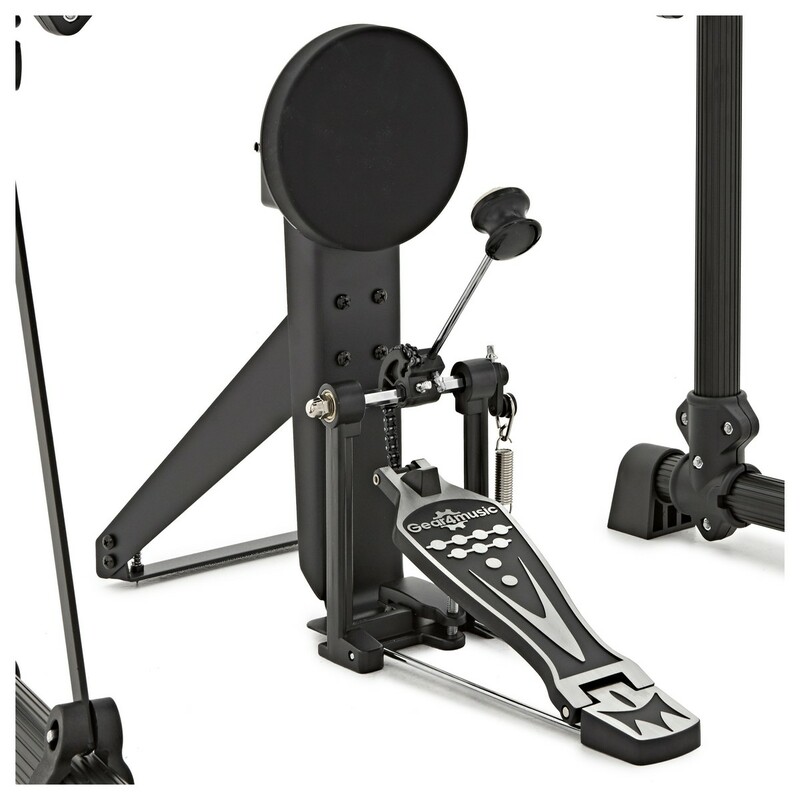 Experience the feel of an acoustic kit with much less noise. The tough plastic casing around the heads also means they are durable enough to withstand hours of quiet practice. The digital drum kit is easy to use with simple, user friendly controls. Whether you're just getting started or simply don't want to waste time with overly complex selection menus and functions, the 420X is accessible to everyone. Mode, page, start/stop and selection buttons sit on the front of the drum module along with a volume knob, and the LCD screen displays all your chosen sounds and settings. A click feature is perfect to help players with timing or practice drills. 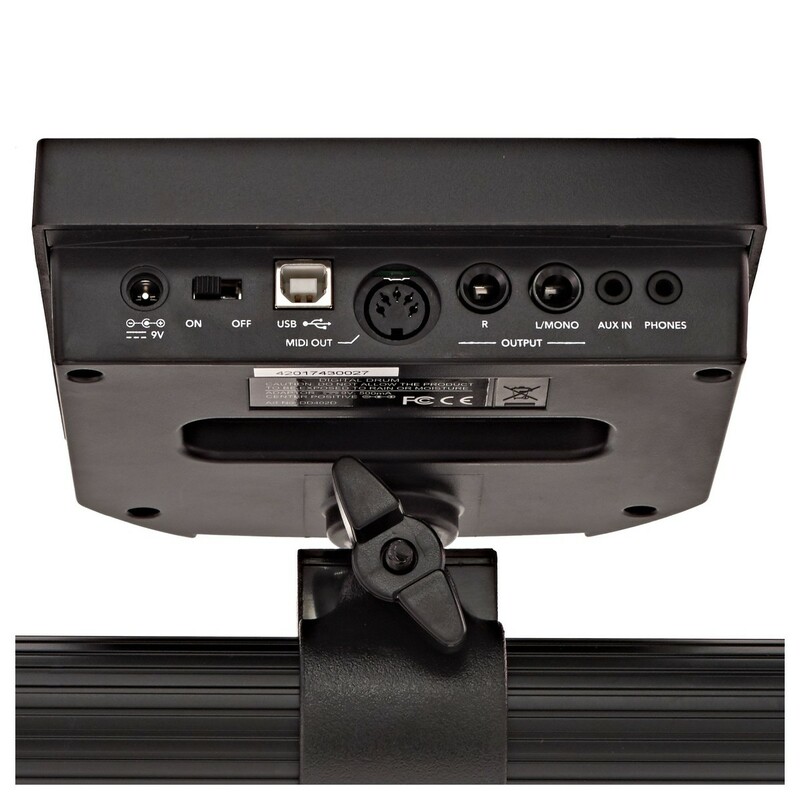 The DD420X has a full range of connectivity options which add a whole host of extra options for expanding and upgrading this kit. The stereo ouput allows you to connect the drum kit to a monitor or amplifier for extra volume when playing live, whilst the aux in means you can connect an MP3 player and drum along to your favourite tracks.